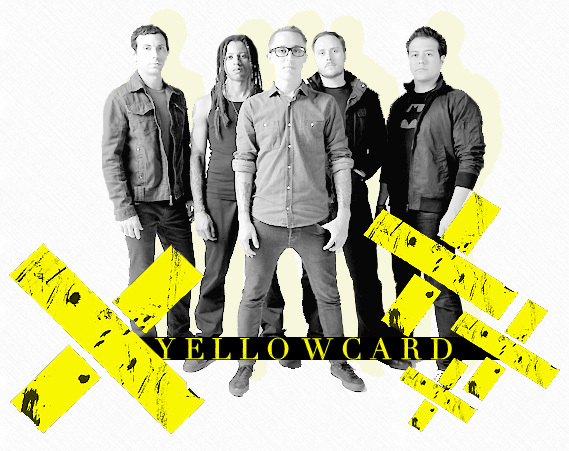 Welcome to Cherry Street, the fanlisting for Yellowcard. This fanlisting is part of The Fanlistings Network and Written Sins. It was previously owned by Ian and Anne. A huge thank you goes to Anne for letting me adopt it from her! If you are a fan of this great band please feel free to grab a code and join! Cherry Street was last updated on 06th March 2019. We currently have 211 approved members from 35 countries with 0 waiting to be approved with the next update. Please welcome our newest member(s), Gabby! Cherry Street: The Yellowcard fanlisting. Part of Written-Sins.org. Open since January 23rd 2006. Adopted in June 2015. No copyright infringement intended. All images � to their respective owners. This is a non-profit, fan-run and non-official site. I am in no way affiliated with Yellowcard, its members or management.